We offer a friendly and affordable cesspit and septic tank emptying service. Domestic and commercial customers across the South East, trust us to empty and maintain their septic tanks and sewage treatment plants, keeping them in perfect working order. The frequency with which you'll need to empty your septic tank or cesspit depends on the size of the tank and the number of residents living at the property. As a guide, we recommend that you arrange to empty your tank at least every six to twelve months. We can arrange for your septic tank or cesspit to be emptied, promptly and efficiently, at a COMPETITIVE price. Please call 0800 357 9371 or email info@draindetectives.co.uk. What waste removal services do we offer? We can empty septic tanks, cesspits or clear sludge from sewage treatment plants as a one-off, or on a regular basis. We offer liquid waste removal services for the industrial, commercial, utilities, marine and residential sectors. Trained engineers can service, maintain, give advice and install soakaways, septic tanks and sewage treatment plants. Why not ask a 'local farmer' to empty your septic tank? Septic tanks and cesspits can only be emptied by licensed waste disposal companies. 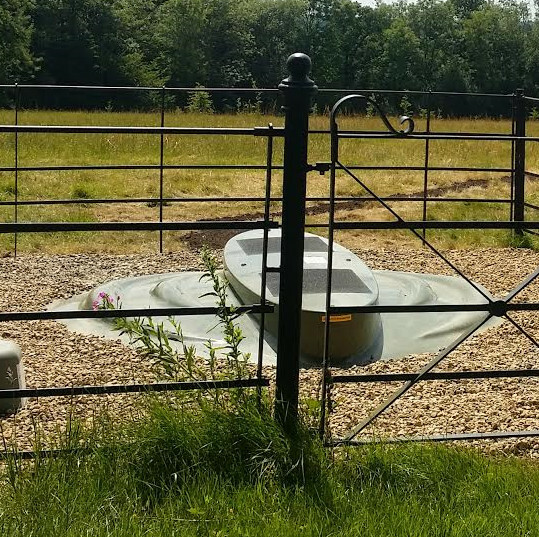 The sludge and liquid from septic tanks or cesspits must always be taken to a sewerage treatment plant and sterilised before it can be discharged or spread on agricultural land. If you pay an unlicensed contractor to do your cesspit or septic tank emptying, you are breaking the law, may be prosecuted and made to pay a large fine. It just isn't worth it. If you are looking for a professional, licensed waste removal company to empty your cesspit or septic tank, please call 0800 357 9371 or email info@draindetectives.co.uk. Why use Drain Detectives to empty your septic tanks and cesspits? Our tanker drivers are experienced, friendly, helpful, fully trained and always willing to give expert advice regarding your cesspit or septic tank. Only a Licensed Waste Disposal Company is allowed to empty a cesspit or septic tank or remove liquid waste from your property. Our tanker drivers can respond to emergencies, whether you need the liquid waste removed at short notice or even at weekends or evenings. Our engineers offer scheduled maintenance or emergency repairs for domestic septic tanks and all makes of sewage treatment plants. We are proud to be members of checkatrade. We ask all of our customers to leave reviews of our work when we empty septic tanks. Drain Detectives aim to give the best possible value for money price for septic tank emptying and liquid waste removal at your property. If you look after your septic tank, it should last for many years, however, there are certain factors that might contribute to reducing the lifetime of your sewage treatment system. Too much oil and fat can cause blockages as they do not easily degrade or decompose. Flushing items down the toilet that do not decompose including cigarette ends, cotton buds, tampons or wipes will cause your septic tank to fill quicker than it normally would. Disposing of food waste in your septic tank can overload the system and cause failure. Some chemicals can cause damage to the natural balance of the system and its aerobic digestion by killing good bacteria. These include bleach, pesticides and caustic soda. For FREE advice about servicing a septic tank, call 0800 357 9371 or email our office. What areas do our tankers offer cesspit or septic tank emptying? 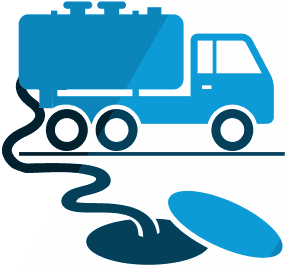 Our tankers provide septic tank emptying and liquid waste removal services throughout the South East of England including Surrey, Kent, London, West and East Sussex, from Maidstone across to Bromley, Croydon over to Guildford, and Wimbledon down to Uckfield. If you need a septic tank emptying or need liquid waste removal, you have come to the right place. Call our friendly office on 0800 357 9371 today for expert advice and a FREE no-obligation quote!